Solea represents Beatrice Rana for general management. "Rana’s playing has a kind of Orphic seductiveness, a transcendent lightness of touch. A supremely intelligent reading. " 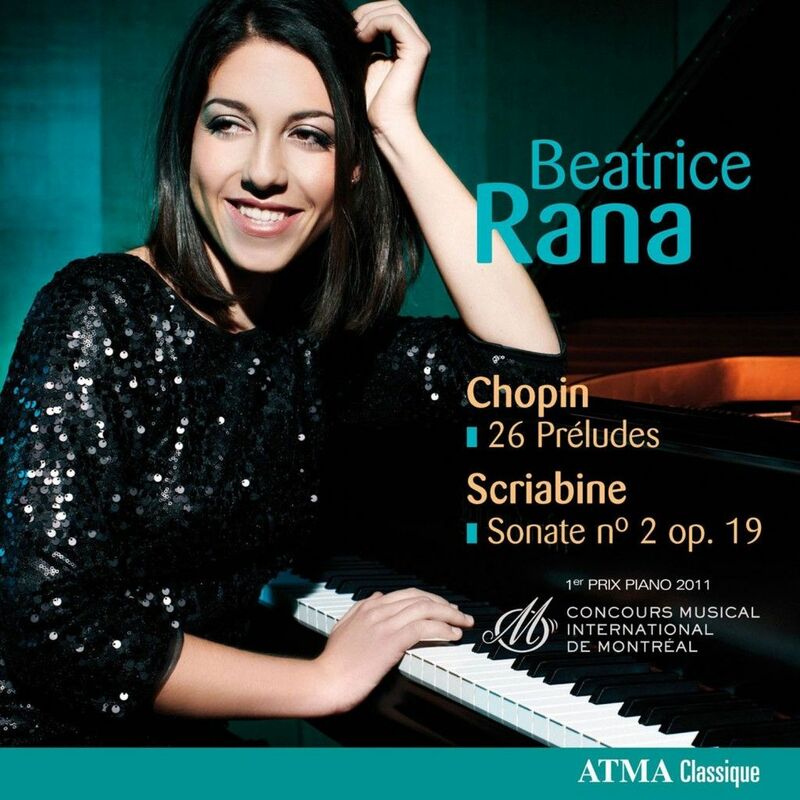 Twenty-five year-old Beatrice Rana has shaken the international classical music world already and aroused admiration and interest from concert presenters, conductors, critics and audiences in many countries. 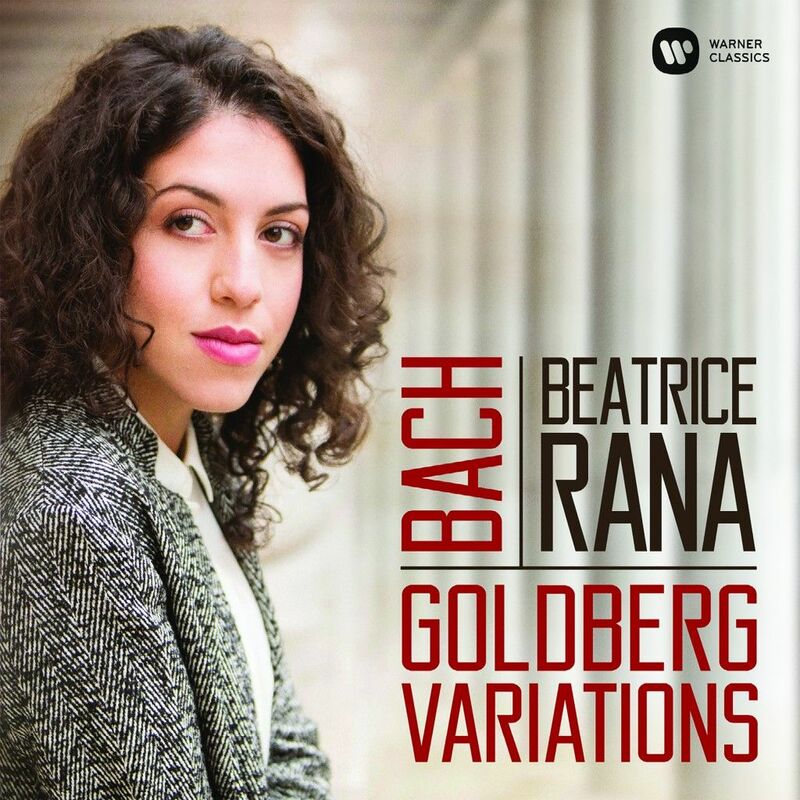 The year 2017 will remain as a milestone in her career with the release of Bach’s Goldberg Variations on Warner classics, The recording was praised by reviewers worldwide and was crowned by two major awards: “Young Artist of the Year” Gramophone Classical Music Award and “Discovery of the year” Edison award. In June 2018, she was elected Female Artist of the Year at the Classic BRIT Awards at Royal Albert Hall. Beatrice performs at the world’s most esteemed concert halls and festivals including Vienna’s Konzerthaus and Musikverein, Berlin Philharmonie, Amsterdam’ Concertgebouw’s main hall, New York’s Lincoln Center and Carnegie Hall, Zurich’s Tonhalle, London’s Wigmore Hall, Royal Albert Hall and Royal Festival Hall, Paris’s Théâtre des Champs-Elysées, Lucerne’s KKL, Cologne Philharmonie, Munich’s Philharmonie, Prinzregententheater and Herkulessaal, Frankfurt’s Alte Oper, Milan’s Società dei Concerti, Ferrara Musica, Verbier Festival, Klavier Festival Ruhr, Lugano’s LAC, La Roque d’Anthéron Festival, Montpellier Radio-France Festival, Rencontres Musicales d’Evian, Bucharest Enescu Festival, Mostly Mozart Festival , San Francisco Performances, Los Angeles’ Walt Disney Hall and Hollywood Bowl, Washington D.C.’s Kennedy Center. She collaborates with conductors such as Riccardo Chailly, Antonio Pappano, Yannick Nézet-Séguin, Fabio Luisi, Yuri Temirkanov, Gianandrea Noseda, Jun Märkl, Trevor Pinnock, James Gaffigan, Mirga Grazinyte-Tyla, Fabien Gabel, Lahav Shani, Andrés Orozco-Estrada, Susanna Mälkki, Leonard Slatkin and Zubin Mehta. Orchestral appearances include the London Philharmonic Orchestra, City of Birmingham Symphony Orchestra, BBC Symphony Orchestra, Philadelphia Orchestra, Los Angeles Philharmonic, Detroit Symphony Orchestra, NHK Symphony, Dallas Symphony Orchestra, Seoul Philharmonic, Orchestre National de France, Tonkünstler Orchester, Lucerne Symphony Orchestra, Orchestra dell'Accademia Nazionale di Santa Cecilia, Orchestra Sinfonica della RAI, Filarmonica della Scala, Helsinki Philharmonic, St Petersburg Philharmonic. During the 2018/19 and 2019/20 seasons, Beatrice will debut with the Royal Concertgebouw Orchestra, Chicago Symphony Orchestra, Orchestre de Paris, Melbourne Symphony, Bayerische Rundfunk Sinfonieorchester, Hessischer Rundfunk Sinfonieorchester, Pittsburgh Symphony Orchestra, Orquesta Nacional de España, Royal Liverpool Philharmonic, Danish National Symphony Orchestra, Royal Stockholm Philharmonic Orchestra and will return to the Philadelphia Orchestra with Yannick Nézet-Seguin at Philadelphia’s Kimmel Center and New York’s Carnegie Hall, Los Angeles Philharmonic with Gustavo Dudamel, the Tonkünstler Orchester with Yutaka Sado at the Musikverein, the Detroit Symphony Orchestra with Kent Nagano, will tour with the London Philharmonic Orchestra and Vladimir Jurowsky and will start a residency at the Zurich Opera with Fabio Luisi and the Philharmonia Zurich for a complete Beethoven concerto cycle. She will also play recitals at Geneva’s Great Performers series at Victoria Hall, Munich’s Prinzregententheater, London’s Queen Elizabeth Hall and Wigmore Hall, Essen Philharmonie, Berlin Philharmonie’s Kammermusiksaal, Lisbon’s Gulbenkian Foundation, Paris’ Théâtre des Champs-Elysées, Madrid’s Scherzo Great Performers series, Gilmore Keyboard festival, and Carnegie Hall. In 2015, Beatrice released her first album as en exclusive Warner Classics artist featuring Prokofiev’s 2nd piano concerto and Tchaikovsky’s first concerto with Antonio Pappano and the Accademia Nazionale Santa Cecilia di Roma. The CD received international acclaim including the prestigious Gramophone’s Editor’s Choice and BBC Music Magazine’s Newcomer of the Year Award. During the 2015-2017 period Beatrice was part of the prestigious BBC New Generation Artist Scheme, allowing her to record a lot of repertoire for the BBC and play with all BBC Orchestras. In April 2016, the Borletti-Buitoni Trust awarded her a fellowship. 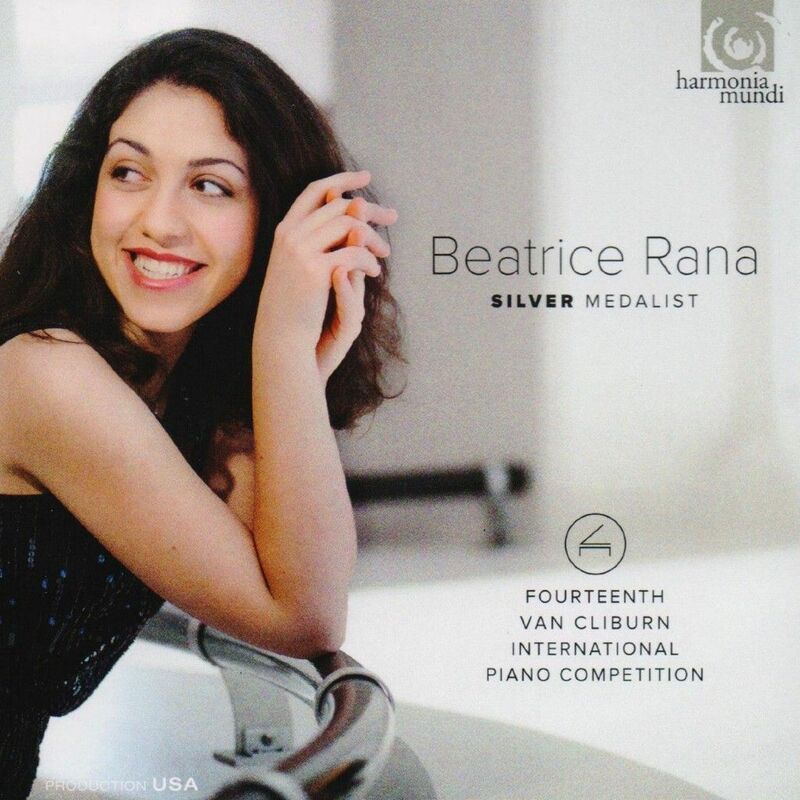 In June 2013, Beatrice won Silver (2nd Prize) and the Audience Award at the prestigious Van Cliburn competition.She had attracted international attention at 18, winning 1st Prize and all special prizes at the Montreal International competition in 2011. A recipient of an impressive number of first prizes in national and international piano competitions, such as “Muzio Clementi” Competition, “International Piano Competition of the Republic of San Marino” and "Bang&Olufsen PianoRAMA Competition”.She now studies with Benedetto Lupo in Rome. Born to a family of musicians in 1993, Beatrice Rana made her debuts as a soloist with orchestra at the age of 9, performing Bach Concerto in F minor. Beatrice began her musical studies at four and achieved her Piano Degree under the guidance of Benedetto Lupo at the Nino Rota Conservatory of Music in Monopoli, where she also studied composition with Marco della Sciucca. She is based in Rome.